How (and why) you should challenge yourself to think outside the box, get feedback, and take risks so you can become a superhero in the workplace. In June 2017, a new power shook the box office. She was someone we were familiar with, a name we had heard and read about in the past. But she landed with a fury. Wonder Woman was back—and this time she was the star and heroine. Similarly, the following February, King T’Challa led the 18th film in the Marvel Cinematic Universe (MCU). After 17 other films, Marvel released something different: a film featuring a predominantly black cast, helmed by an African-American director. Black Panther became the highest grossing film of 2018 at that point—the 11th-highest-grossing film of all time—and was lauded as “one of the best films set in the MCU.” These superheroes were unique. They highlighted women and African-Americans by putting them front-and-center, which is rarely the case. How were these two characters—neither fitting the traditional superhero stereotype—able to bust through the ceiling of our cultural norms? How do we, unique and dynamic in our own ways, create personal brands that break through the monotony and shatter expectations? First, think about who you are and what makes you different. How do you stand out among the crowd? Perhaps you’re someone who provides a unique, creative perspective on a team. Or your stand out quality may be as simple as having a reputation for meeting deadlines and delivering—that is, you make sure the work gets done. Your unique qualities may or may not be revolutionary, but they are skills or strengths you possess that others may not. Are you compassionate? Are you a team builder? Do you think big? Are you strategic? Superheroes such as Wonder Woman and Black Panther are obviously unique in principle (they’re definitely not like the rest of us! ), but they still have human strengths and qualities. King T’Challa, while physically exhibiting superhuman strength and speed, was also compassionate, with an extreme desire to protect and serve the people of Wakanda and right the wrongs of his father. Another standout character from Black Panther is Shuri, the younger sister of King T’Challa. Shuri’s personal, non-superhuman, strength is in her creativity and intellect as she manages the technology of Wakanda. Her uniqueness is obvious in her innovative spirit as she designs new and exciting technologies. In what ways do you, like King T’Challa and Shuri, offer something different? If you struggle with understanding how you may be unique, take a self-assessment to determine your strengths and how you can apply them to your professional and personal life. Second, once you’ve familiarized yourself with your strengths and how you add value, think about how to leverage those strengths to stand out from the crowd. How do you find ways to stand out or step up, rather than follow those around you? In a world of Batman remakes, the cinematic world never offered a solo heroine who did all the saving. Patty Jenkins, director of Wonder Woman, eagerly agreed to change that trend. She made a heroine the lead and star character. At the time of Wonder Woman’s release, the DC Cinematic Universe (DCU), under which the superhero Wonder Woman exists, was attempting to catch up to what the MCU had done for 10 years. Marvel took unfamiliar heroes such as T’Challa and made household names out of them. Although Marvel had toyed with its assassin, Black Widow, and its tough-exterior Gamora, the studio never put these heroines at the centers of their own story. Wonder Woman, unique and feminine, was what the DCU needed to put itself back on the map. To stand out, you must take risks, just as Warner Brothers did with Patty Jenkins’ Wonder Woman. Regardless of potential rejection by the masses, the DCU brand took the lead by showcasing an underrepresented demographic, to prove females could lead the way and be just as popular as their male counterparts. Though Wonder Woman in the past may have been mocked for lacking the strength of male superheroes, the 2017 film earned worldwide acclaim and became one of the biggest blockbusters of the summer movie season. Wonder Woman took a risk and highlighted its lead character’s femininity and that risk paid-off. Third, leveraging your unique strength at the right time, under the right spotlight, can be what takes your personal brand to the top. Have the self-confidence to support your unique strengths. Understand your strengths, leverage them to “wow” the crowds (just as Patty Jenkins did with Wonder Woman), and be willing to take the risk to grow. As the DCU demonstrated in the case of Wonder Woman, sometimes risking failure can bring out your best work. Taking a risk can lead you to think outside the box and bring something unique to the table (and perhaps break a few records while you’re at it). When we take risks and fail fast, we can often learn more about our strengths—even improving upon them—and can overcome our weaknesses. It was long overdue for a blockbuster to commit to a female superhero. By investing in that idea, DC/Warner Brothers stood out among the competition. By standing out and sharing value with the current political movement toward empowering women, Wonder Woman became a new pillar for DCU. 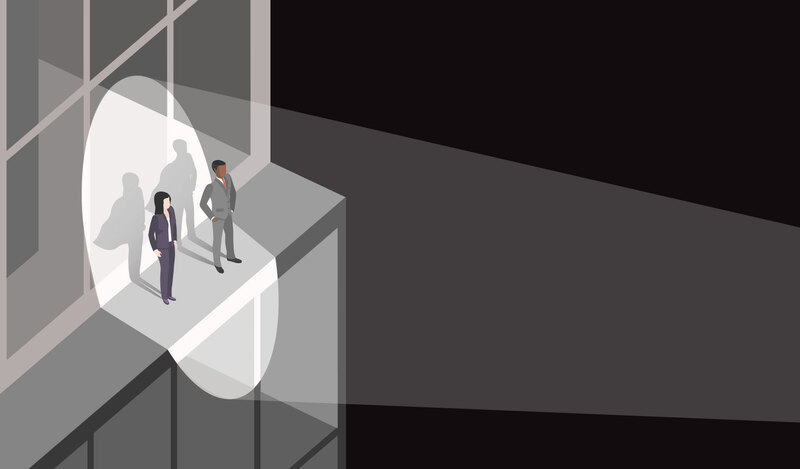 Leveraging your unique strength at the right time, under the right spotlight, can be what takes your personal brand to the top. Fourth, gaining a following can lead to a successful brand, but listening to your audience and understanding how your “superpower” serves your team, your leadership, or your customers can take you to the top. DC lifted its portfolio of superhero power with Wonder Woman and created a new strength for itself in a female brand. Although Marvel has yet to release a solo female-hero film, they found their strength in something equally (some might argue more so) powerful—Black Panther. You could discuss the magnitude of what Black Panther has achieved in detail, but what director Ryan Coogler really did was to bring his roots and upbringing as an African-American to the screen, providing cultural representation. Diversity brings different ideas and changing viewpoints to corporate structure, teams, and individuals. In today’s changing climate, your brand should include some aspect of diversity and reinvention that provides a closer connection to your audience. In hiring and enabling Patty Jenkins and Ryan Coogler, two cinematic directors who believed in something unique and different, both Marvel and DC reinvented themselves. While their strengths had been classic superheroes in the past, both labels saw a need to highlight new, modern, unique films over time to connect with an ever-changing audience of movie-goers and comic fans. The same can be said for our personal brands. Where do your personal strengths and interests overlap with professional needs? 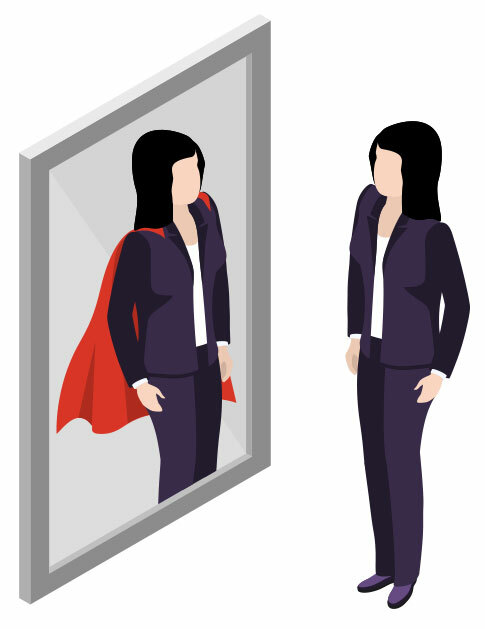 It is in this intersection where we can truly add value in the workplace, highlighting our personal “superpowers” to fill a need in the workplace. How will this change over time? Our strengths and interests today may not be the same in the future. It may have taken Wonder Woman years to finally make it to the big screen and few could have imagined Black Panther breaking the records it did, but these films helped advance and reinvent their labels. As with Marvel and DC, the needs of your company will shift over time, providing new opportunities. Through continuous personal growth—understanding our strengths and interests, challenging ourselves by taking risks, and learning from our mistakes—we can continue to add value and build our personal brand. and your flexibility for growth. There will always be changes around the corner, so challenge yourself to think outside the box, get feedback, and take risks like Wonder Woman and Black Panther. The more you understand yourself and work to build your brand, the more likely you are to shatter box office records (or at least have a better day at work).